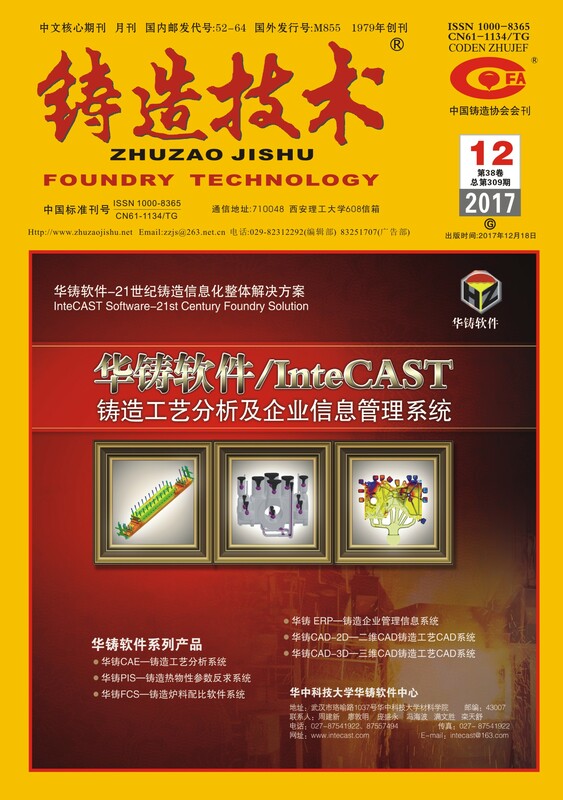 英文摘要：By means of phase diagram calculation and transmission electron microscopy analysis, the precipitation types, precipitation regularity and morphology of phase diagram ferritic heat-resistant stainless steel 0.1C-18Cr-1Al-1Si casting alloy were studied. The results show that the equilibrium phase of 0.1C-18Cr-1Al-1Si is composed of ferrite phase, alpha-Cr phase, AlN phase, M7C3 phase and M23C6 phase. With the decrease of temperature, the C content in M23C6 phase increases first and then decreases, the Fe content decreases gradually, and the Cr content increases gradually. M23C6 phase has complex plane-centered structure and M7C3 crystal structure is orthorhombic structure; AlN is densely arranged hexagonal structure and densely arranged plane is (0001). The spacing of dense rows is 0.476 mm.